The extensive programme of excursions to nearby islands and on Praslin itself keep boredom at bay. Huge swimming pool great for kids and adults alike – especially the swim-up bar in the centre of the main pool! 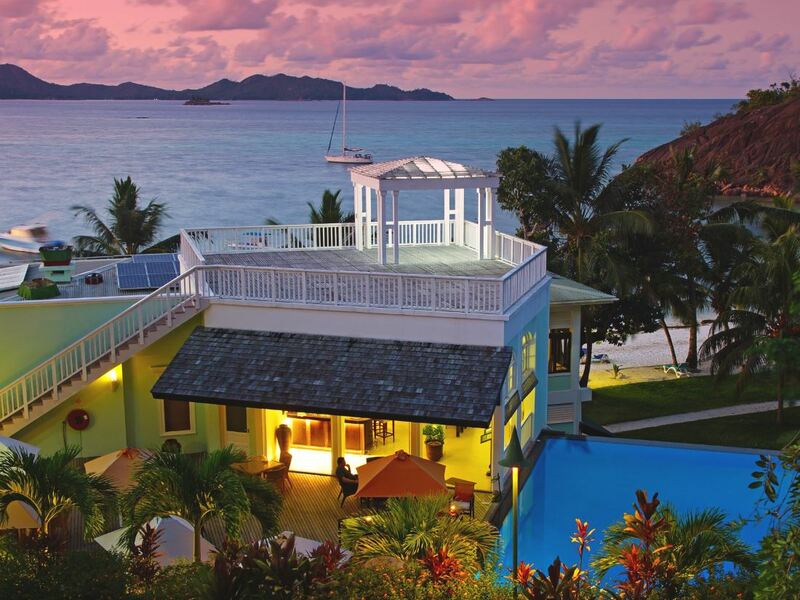 Located on the gorgeous beach of Anse Petit Cour on the northern coast of Praslin, the La Reserve has a consistent track record of satisfied guests that is the envy of its rivals. 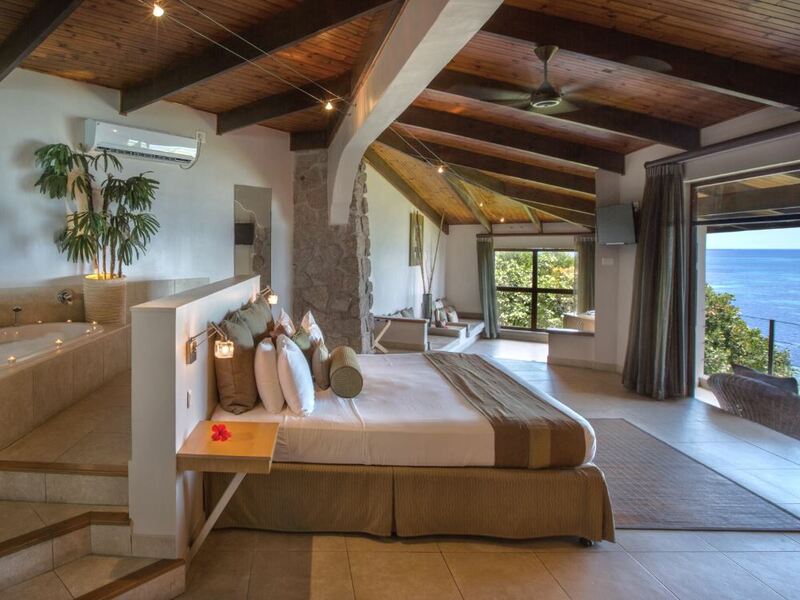 With only 40 rooms it remains fairly intimate – however it’s probably also true to say that La Reserve has certain features that make it feel quite “Mauritian” in character. There’s the layout and design of the rooms for example – generally located in little blocks of 4 rooms with “2 upstairs and 2 down”, they are contemporary and luxurious but perhaps rather anonymous in style, as opposed to the more characterful and traditional interiors and separate bungalow layout of a competitor like the L’Archipel. La Reserve’s location away from the main strip of the Cote D’Or means that quiet and tranquility is the order of the day – apart from a (little used) passing road and the sight of a new resort on a distant hillside across the bay, there’s nothing at all to disturb the peace. In fact, the hotel is actually the only resort located inside the Curieuse National Marine Park so the pristine feel is hardly surprising. 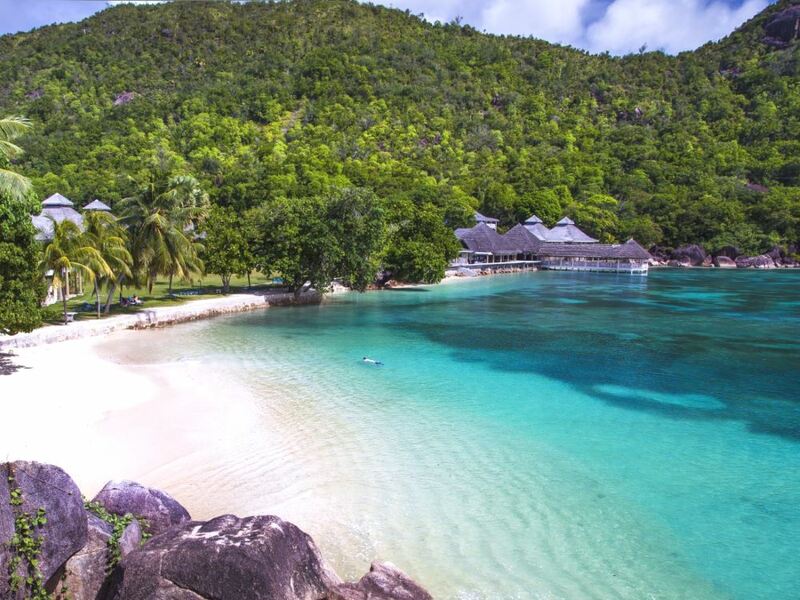 Whilst all beaches in the Seychelles are theoretically open to public access, the fact that you can only get to the beach here by going through the hotel means that to all intents and purposes it’s a private beach. And a very nice stretch of sand it is too! Whilst the manicured section in front of the rooms is inviting, we particularly loved swimming around a little clump of rocks on the northern end where another gorgeous little patch of sand strewn with rain forest and granite boulders lays waiting to be discovered by more adventurous guests – it has a wild Robinson Crusoe feel that’s a delightfully unexpected surprise! As mentioned previously there are just 40 rooms at the La Reserve with 32 of them being the Beach Front Deluxe rooms which are mainly arranged in typical modern horseshoe blocks looking over the beach. The other rooms are older and more traditional in style; located in colonial style buildings (4 of them in a block on the beachfront called the Beach Front Family Suites and the other 4 in a building on the hillside overlooking the ocean below called the Colonial Superior rooms) they have exposed stone-work walls and wooden paneling giving them an authentic Creole feel; the Deluxe rooms on the other hand are newly built and have a more luxurious and modern feel but perhaps lack the charm of the older rooms. We stayed in a Deluxe and particularly loved the open plan bathroom with its simply huge shower area and quality fittings. The overall feeling is one of simple elegance and restrained luxury - perhaps the only really jarring note being that the air-conditioning was pretty noisy, which could well disturb lighter sleepers. 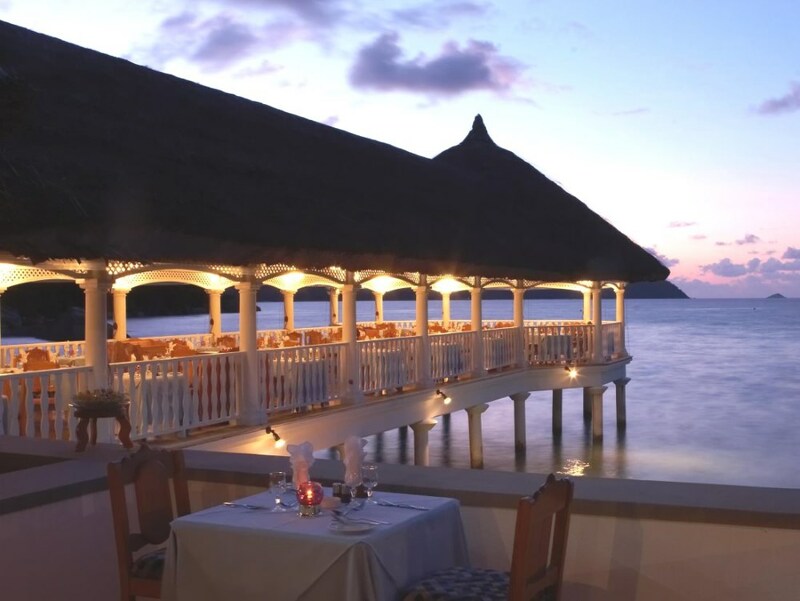 One of the most attractive features at La Reserve is the main restaurant where guests are seated romantically on the jetty which juts out in very picturesque fashion into the bay – the food here is good quality with a mixture of set menus and buffets, and kids will love the ritual of feeding bread rolls at the end of meals to the multitude of colourful fish making their home under the jetty. Whilst the main bar/lounge area next to the restaurant is very comfortable and quite sophisticated, what we loved was the simple beach bar at the far end of the beach where you can enjoy a delicious (and scarily alcoholic!) cocktail whilst twiddling your toes in the beach sand and seated on rough palm tree stumps. Afternoon tea and cake is also served daily around the pool. The pool is more typical of the type that you would find at a large resort compared with similar hotels in the Seychelles – it’s a huge affair consisting of a couple of interlinked pools with a swim-up sunken bar in the middle where you can slake your thirst whilst chilling out in the water! It’s a real favourite for kids too with plenty of space for play and the only slightly disappointing thing about it is its position as it lies well away from the sea behind the room blocks and adjacent to the reception area – a view over the beach would have been so much nicer. 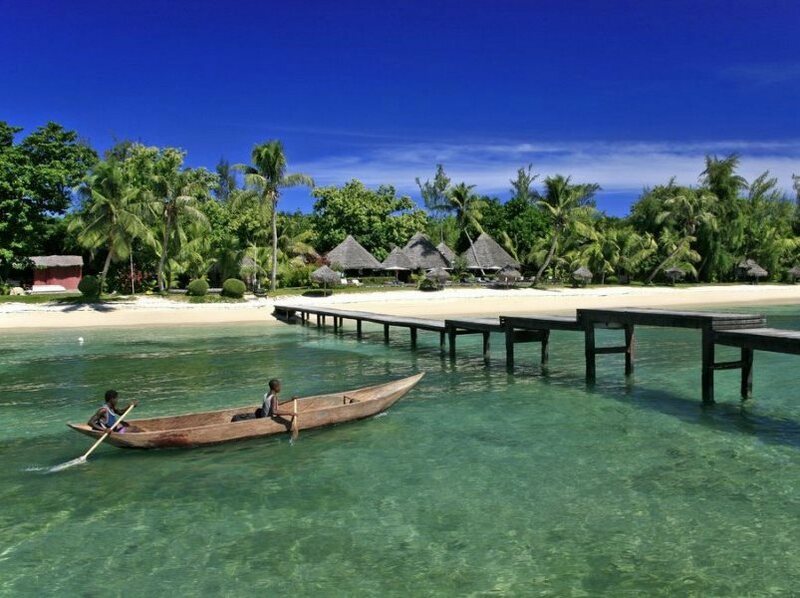 Being part of the marine park, there is decent snorkelling available and the hotel provides snorkelling equipment and kayaks free to guests wishing to explore the bay. One of the truly outstanding things about La Reserve is the extensive programme of excursions - both by boat to neighbouring islands such as Curieuse, Cousin and St Pierre, as well as to attractions on Praslin itself. So guests have the choice of lazing about the resort itself or a more active holiday exploring the nearby attractions!